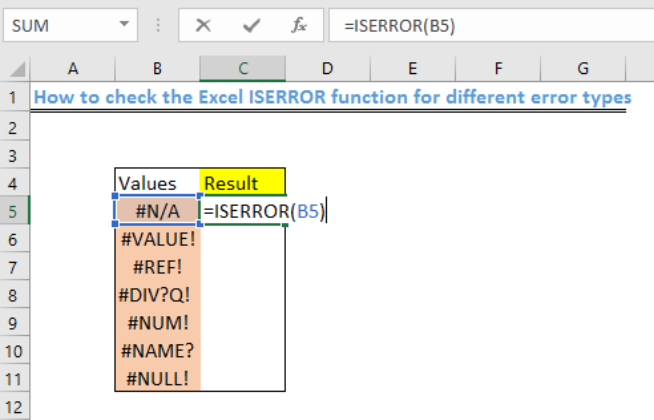 We can use the ISERROR function to test if a cell contains any kind of error message such as #N/A, #VALUE!, #REF!, #DIV/0!, #NUM!, #NAME?, or #NULL!. The simple steps below will walk through the process. 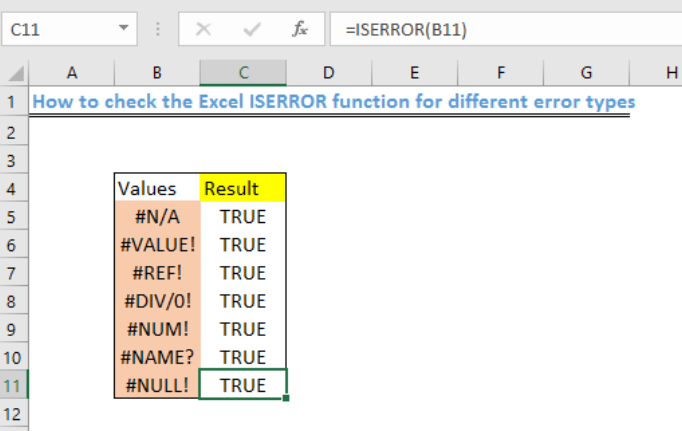 We will set up the table as displayed in figure 2 by showing the names of different kinds of error functions we can encounter in excel. 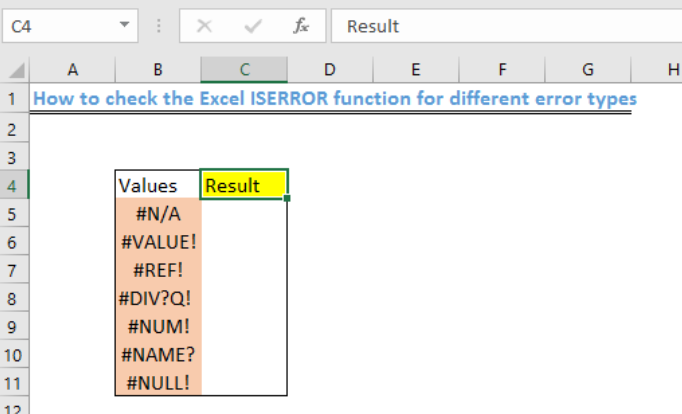 We will name Cell C4 as “Result”, and Column C will contain the results when we apply the ISERROR function. 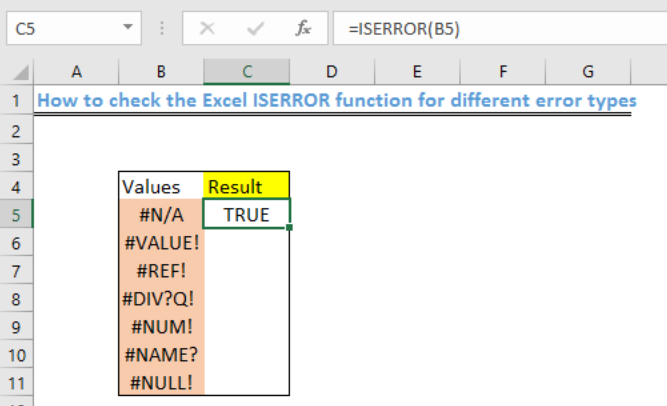 We will use the fill handle to copy the formula into the other cells in Column C.
We use the Excel ISERROR function to check if a cell has an error message. 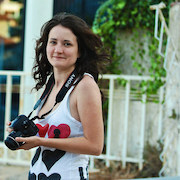 The result will return TRUE if a cell contains an error message. 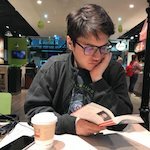 If there is no error message, then it returns False. 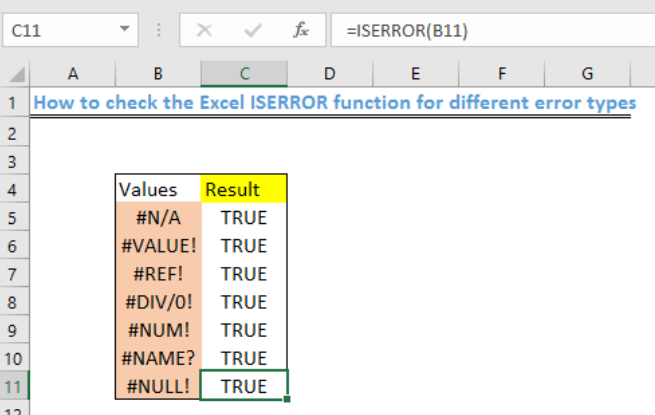 We can also use the ISERROR function alongside the IF function to check for errors and run a different calculation or show a custom message.